Economy doesn’t mean compromising on space and comfort. Our economy cabin seats are fitted with exclusive leather seats along with shoulders’ support. 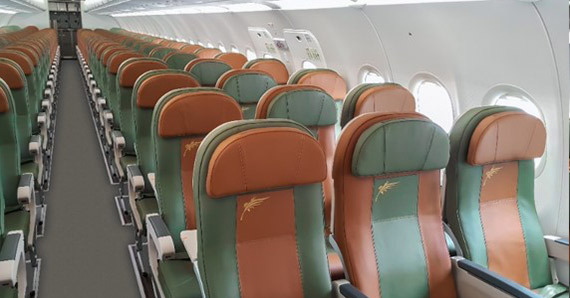 Our friendly and efficient cabin offers plenty of 31 cm of legs’ room, In-flight entertainment system and the ability to say hello from the skies with our internet connectivity which is available on all flights. We have carefully put together the right type of materials and we’ve perfected our services to make you enjoy your experience with us without any compromising on your essential comfort.